After the head retopo was done, I spent a couple hours trying to improve the head. Here’s the result, along with a first rough color pass. Edit: I also did a quick test bake and hooked it up to the Autodesk Ubershader. The diffuse is basically just the (somewhat improved) ZBrush polypaint with AO and Cavity on top. The Spec map is just hacked together for the sake of testing. Tesselation is turned on. 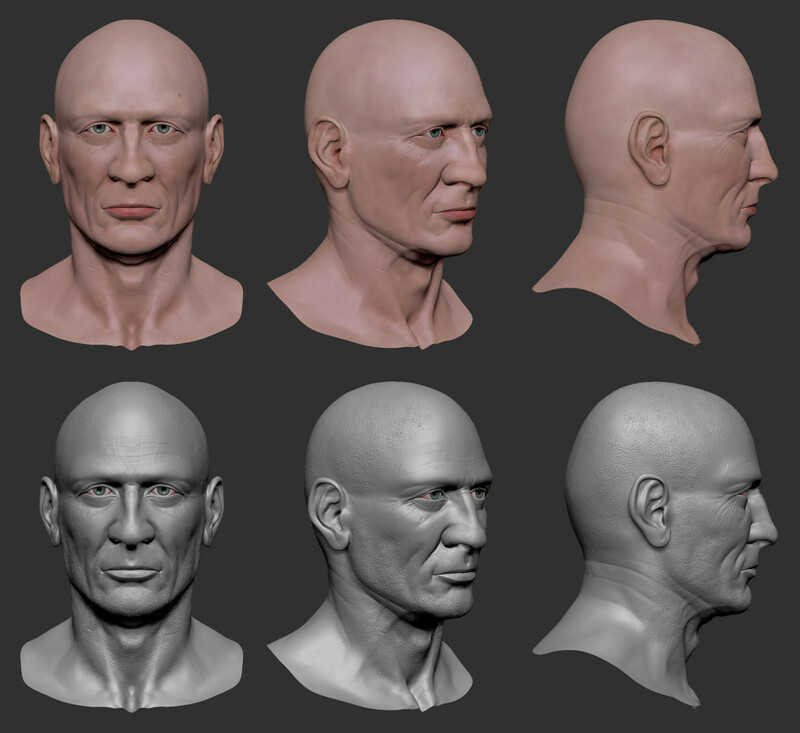 This entry was posted in 3D, BLOG and tagged 3D, ZBrush on December 12, 2013 by Ralf.